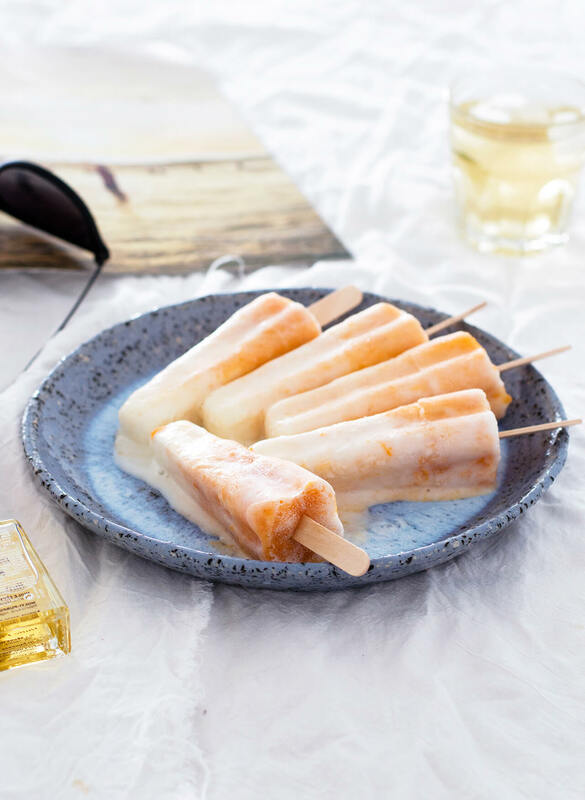 Very easy to make Elderflower apricot yogurt popsicles, that are creamy yet refreshing, sweet and tart, fruity with a floral note. 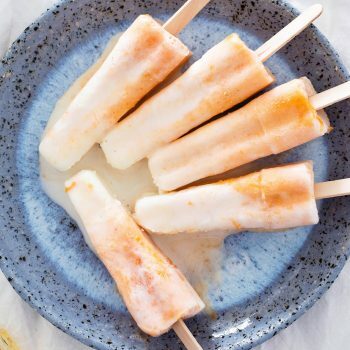 I think these Elderflower apricot yogurt popsicles can serve as celebratory popsicles this week, because as you probably know the “Thai cave boys” were successfully rescued along with their coach! Of course I was no exception, along with the rest of the world I kept waiting for the positive news. Sharing a recipe for popsicles seems so miniscule compared to that, but sharing recipes is why I’m here. 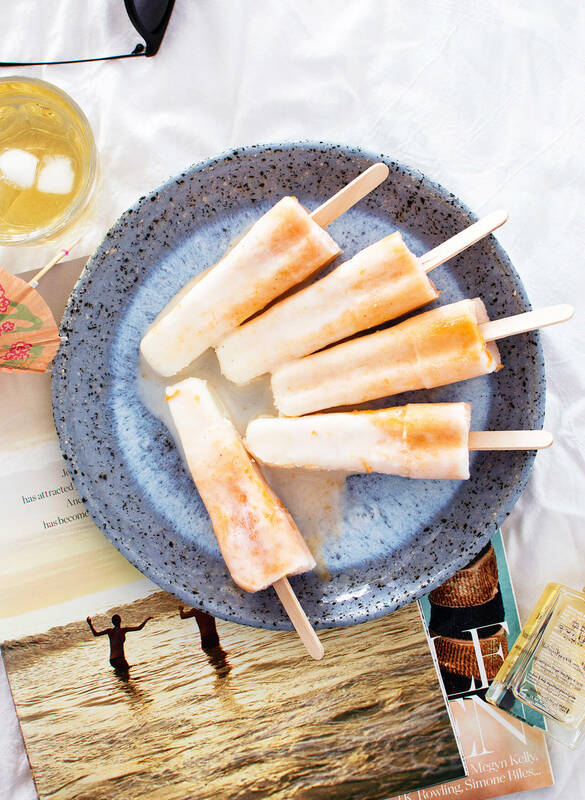 And trust me you don’t want to miss out on making these elderflower apricot yogurt popsicles. As you know by now, elderflower is one of my most favorite flavors and it’s a definite classic-Slovene-summer staple. I’ve had elderflower ice cream before and I still know of a good place that sells creamy elderflower gelato, but I haven’t been able to find elderflower ice cream in a store. And that’s such a shame! So really, making my own frozen treat is all I have left. Now, making ice cream is a bit more involved, so I chose popsicles this time around, because they’re easier to make. And they’re also great for portion control, haha. So we have a creamy yogurt elderflower layer and then a fruity apricot layer. The white layer is a bit sweeter, while the apricot layer is a bit tart, just how a ripe, juicy apricot is. 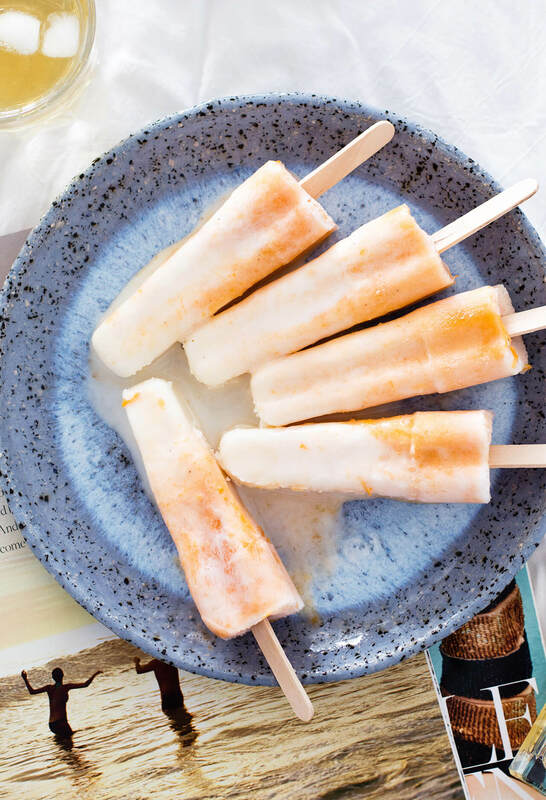 As you read the recipe, you’ll see these Elderflower apricot yogurt popsicles are ridiculously easy to make and I hope you have fun mixing these up. 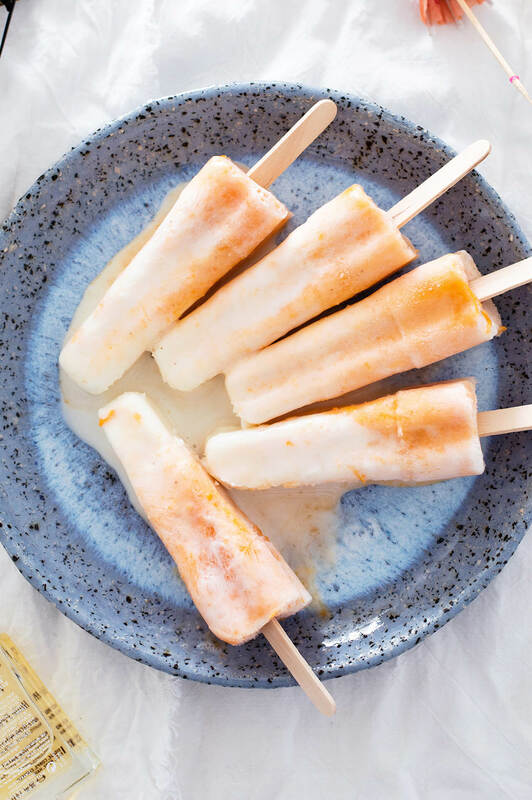 Super easy to make Elderflower apricot yogurt popsicles, that are creamy yet refreshing, sweet and tart, fruity with a floral note. Put sugar and water in a medium saucepan (I use non-reactive enamel cookware) and cook over medium heat, until sugar is dissolved and mixture boiling (about 10 min). Stir in chopped apricots and vanilla. Cook until they’re soft and falling apart (about 10 min). Cool mixture to lukewarm, then stir in lemon juice. Blend apricots with an immersion blender, until you get a somewhat smooth puree. Set aside. Combine yogurt, milk, elderflower syrup and honey in a blender (or use an immersion blender) and blend until smooth. Taste and sweeten if needed, otherwise set aside. Divide the yogurt mixture between molds, filling each mold about 1/3 to 1/2. Top each one with an apricot layer. Put in the popsicle sticks and lightly swirl around each one to create a marbled effect. 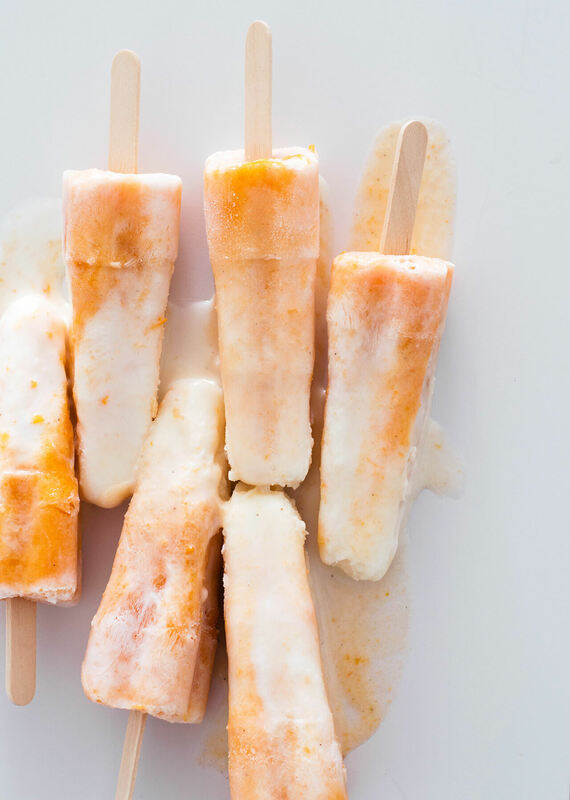 Freeze popsicles until solid (at least 6 hours, ideally freeze overnight).